WorksAccess brings together all the parties involved in Public Works with the aim of reducing the number of road openings, reducing the cost involved in road openings and improving the ability to schedule works. View and understand where others works may create opportunities or challenges. Provides opportunities to share the cost of street openings with other utilities. WorksAccess reduces the potential number of road openings, extending the life of a road asset. Gain greater visibility of each other's work schedules, reducing conflicts and congestion. Identify opportunities to collaborate and share planned works. Mapping allows for quick navigation to jobs requiring attention. Contributing users decide the level of visibility to their future planned works. Get direct insights into the long range plans of other organizations which may impact your plans or provide opportunities to reduce costs. 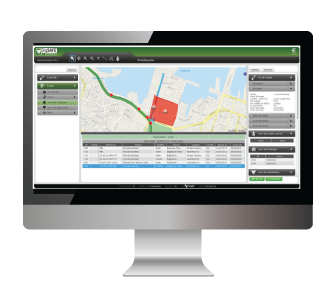 WorksAccess allows each user the opportunity to get the full picture of public works and be alerted when changes to plans occur. With direct access to other organizations capital works programs and schedules, you will be able to consider your own plans, reschedule your works or negotiate with other organizations with respect to their schedules. WorksAccess is the first meeting place for collaboration on any public works. Instant notifications and alerts arise when opportunities for coordination or collaboration are presented or when projects have been updated or edited. WorksAccess is the first place to begin negotiating a good result for the Municipality, the Utility and the public.